The Historical Park of Sukhothai founded in the 13th century. Sukhothai (literally means Dawn of Happiness) was the first truly independent Thai Kingdom, which enjoyed a golden age under King Ramkhamhaeng, credited with the creating of the Thai alphabets. The superb temples and monuments of this great city have been restored in Sukhothai Historical Park, a UNESCO World Heritage Site. Visit important ruins of the Royal Palace and Buddhist temples in the historical park including Wat Mahathat and Wat Si Chum. Pick up from the hotel and drive to Ayuthaya Province, the former capital of Thailand. Visit Wat Yai Chai Mongkhon. The name was given granted to the temple by King Naresuan to commemorate a battle fought against the Crown Prince of Burma or Myanmar nowadays. His momentous victory, a single-handed combat on the elephant back brought independence to Ayutthaya after 15 years as a Burmese dependent. Within the complex is a huge image of a reclining Buddha in brick and stucco. Also situated in the compound is King Naresuan statue, which is highly revered by Thais. Then visit Wat Chaiwatthanaram, built in 1630 by King Prasat Thong to honor his mother. Wat Chai Wattanaram was conceived as a replica of the Angkor Temple. A Royal monastery, the temple’s unique feature is a huge prang which is surrounded by smaller prangs. This symbolizes Mount Meru, the abode of the heavenly gods. After lunch at a local restaurant, continue to Phitsanuloke Province, the birthplace of King Naresuan the Great, the legendary King who declared Ayutthaya’s independence from Burma in 1584. On the way, visit Wat Prasri Rattana Mahatat which houses Thailand’s most beautiful Buddha Image, Phra Phutthachinnarat. The large Sukhothai-style bronze statue was cast in 1357 by the order of King Maha Thamma Racha I of Sukhothai and is now highly respected by Thais countrywide. Check in and overnight at the hotel in Phitsanuloke. After breakfast, drive to Sukhothai Province to visit the Historical Park of Sukhothai founded in the 13th century. Sukhothai (literally means Dawn of Happiness) was the first truly independent Thai Kingdom, which enjoyed a golden age under King Ramkhamhaeng, credited with the creating of the Thai alphabets. The superb temples and monuments of this great city have been restored in Sukhothai Historical Park, a UNESCO World Heritage Site. Visit important ruins of the Royal Palace and Buddhist temples in the historical park including Wat Mahathat and Wat Si Chum. Then drive further north to Lampang Province, famous for its horse-drawn carriages and with a rooster as its provincial emblem. 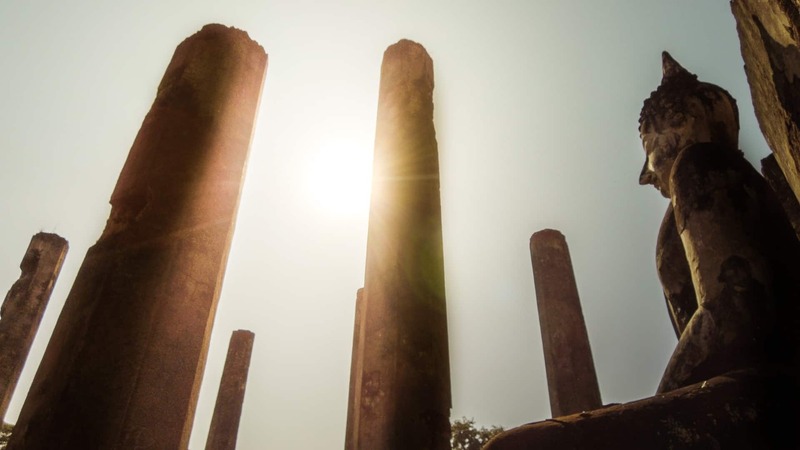 The city boasts a long history of human settlements on the Wang River basin, some of which dating back to more than 1,000 years and is rich in archaeological evidence reflecting ancient civilizations of Hariphunchai, Lanna and Burma. 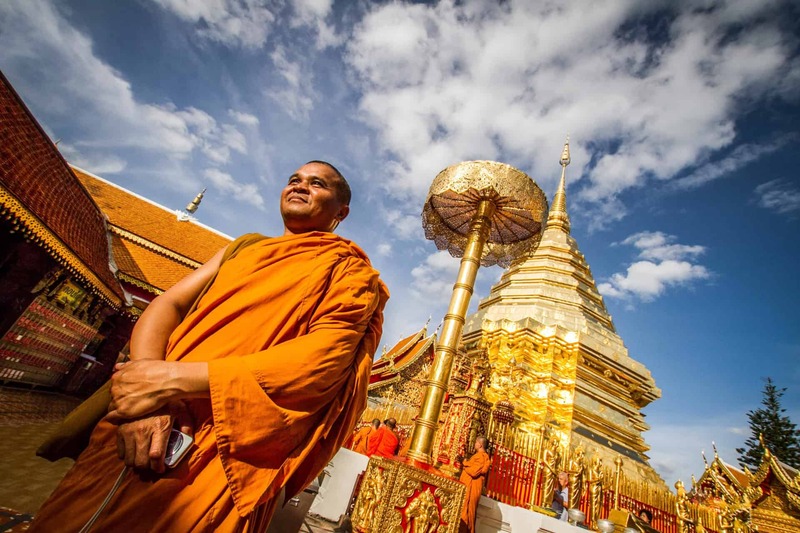 Visit some beautiful temples including the temple Wat Phratat Lampang Luang, with a golden Chedi in Lanna architectural style containing a Holy Relic. The entrance arches, called Pratu Khong, is adorned with fine plaster designs and the beautiful murals on wooden walls, said to be the oldest in the North. The over thousand years old temple Wat Phra Kaew Don Taowith Burmese style architectural works and delicate craftsmanship is also worth a visit. If time permits ( not included but as an option ) , guest has an opportunity to ride on a horse-drawn carriage to explore Lampang city and its cultural attractions Overnight at the hotel in Lampang. After breakfast at the hotel, depart Lampang for Payao Province, a short stroll along Kwan Payao Lake , an extensively fresh-water lake. It is the largest fresh-water fish habitat in the upper North which provides the livelihood of many of the local people. The surrounding scenery, particularly at dusk, is stunning. Along the banks are located food-shops and recreation sites. Then , drive further to Chiang Rai, the northernmost province of Thailand, 785 kilometers north of Bangkok. Afterwards, drive to Chiang Saen, an ancient capital located on the bank of the Mekong River to visit the Golden Triangle, where Thailand, Laos and Myanmar meet on the Mekong River, which was once supposed to be the center of the poppy cultivation in Thailand. View the upstream scenery of the Golden Triangle and pay a visit to the Opium Museum. Then continue to Mae Sai, Thailand’s northern- most district to visit Mae Sai Market. Guests enjoy observing cross-border trading and shopping at the market at the Thai-Burmese border. Overnight at the hotel in Chiang Rai. Early morning, after breakfast at the hotel, continue to Chiang Mai, drive uphill to visit Wat Phratat Doi Suthep, the most famous and respected temple in Chiang Mai. 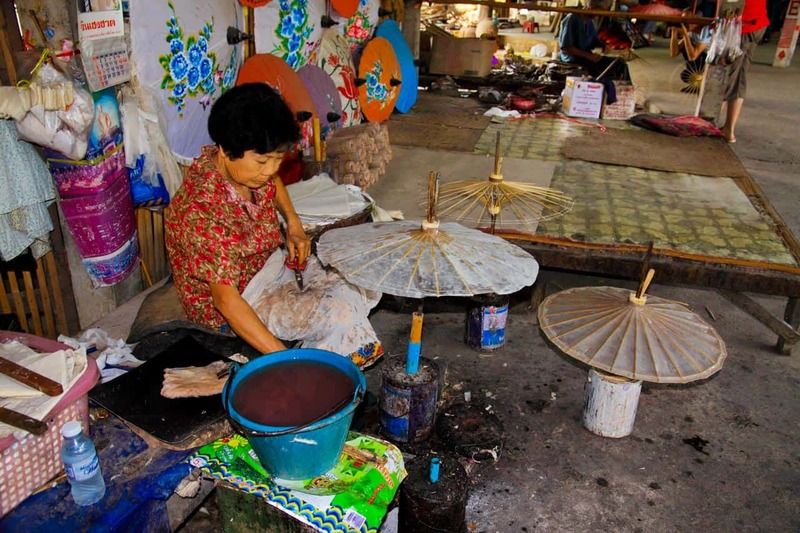 In the afternoon, visit Samkampaeng handicraft village to see silk weaving, wood carving and umbrella making. Evening at leisure. Overnight at the hotel in Chiang Mai. 4 nights accommodation as mentioned or similar.